The benefits of leading an active life are manyfold, both physically and mentally. Stepping away from work and enjoying an activity with friends and family does the body and spirit good, which is why an injury can be frustrating. 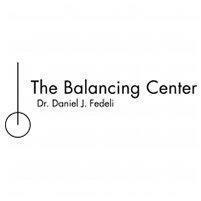 At The Balancing Center, Daniel Fedeli, DC, PC, and his team use innovative techniques to get you back in the game as quickly as possible, while also avoiding reinjury. If you’re in the Gold Coast neighborhood in the Chicago area and you’d like to get off the sidelines, call or book an appointment online. What are the most commons sports injuries? Of course, sports injuries can strike almost any part of your body and include strains, sprains, and fractures of all kinds. If you’ve practiced the RICE (rest, ice, compression, and elevation) therapy for 24-48 hours and the swelling doesn’t subside, or gets worse, it’s time to have an expert weigh in, especially if your mobility is affected. Even if your injury becomes tolerable, but it still nags and prevents you from certain activities even weeks or months down the road, it’s never too late to get checked out. At The Balancing Center, your doctor reviews your symptoms, runs some tests, and orders advanced imaging to zero in on a diagnosis in order to get you started on the best treatment plan. The team at The Balancing Center offers unique and holistic approaches to your problem that focus on the very heart of your musculoskeletal system -- your spine. Traditional chiropractic care concentrates on the alignment of your spine to facilitate your body's healing and regenerative functions. Short for The National Upper Cervical Chiropractic Association, this organization developed a procedure that focuses on your uppermost vertebra in order to restore balance to your spine. The top vertebra, or the Atlas, is key to connecting your brain stem and central nervous system. When your doctor performs an adjustment in this area, it has a widespread effect on your entire body since this area is Command Central for most of your body’s functions. Bio Energetic Synchronization Technique, or BEST, is a nonforceful, energy-balancing procedure that redirects your natural healing abilities to where you need it most. Short for Neuro Emotional Technique, NET is a mind-body approach that tackles your nervous system’s response to stressful stimuli. Foundational Movement Practices promote better posture and alignment in your spine, eliminating strain and tension and preventing future injury. In addition to these treatments, the doctors work with you to integrate exercise and yoga into your life to maintain your health. If you’d like to explore these innovative and effective treatments for your sports injury, call The Balancing Center, or use the online scheduler to book an appointment.